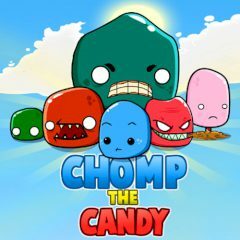 In this game you will face to many impediments on your way to the win, but it is no coincidence, cause here you will do everything for the sake of candies! Just move the blob and eat as many sweets as possible. Watch out! They are coming! This game is only for the real fans of any brain-twisters. Be ready to avoid all obstacles and still reach your goal. Just imagine that you are little blob and your mission is to move across the platform, collect candy, avoid all emerging evil blobs and try to survive in order to get the highest score here, is it not so cool? Duh! As you know, everyone loves candies. To control just use the mouse, click on the direction that you would like to move. Are you ready for such a cool challenge? Then do not waste your time and play this game!